Please call 416-251-1111 for the best possible pricing. 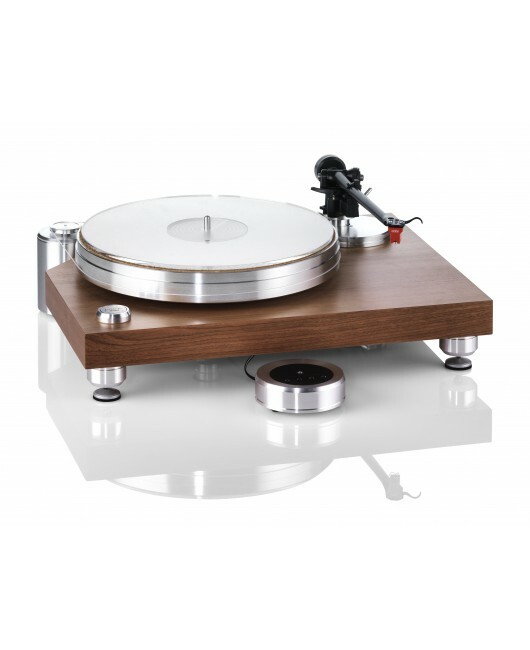 The Acoustic Solid Classic Wood is designed for those who want a turntable in the more classical style. It uses a heavy 35mm thick aluminium platter running on our precision "zero tolerance" bearing. This is mounted on to a solid 40mm thick MDF plinth, which is finished with a cherry veneer. The platter is string-driven by a separately housed synchronous motor, powered by our microprocessor controlled supply unit. Package contains WTB-370 Tonearm & Nagaoka MP110 Cartridge.